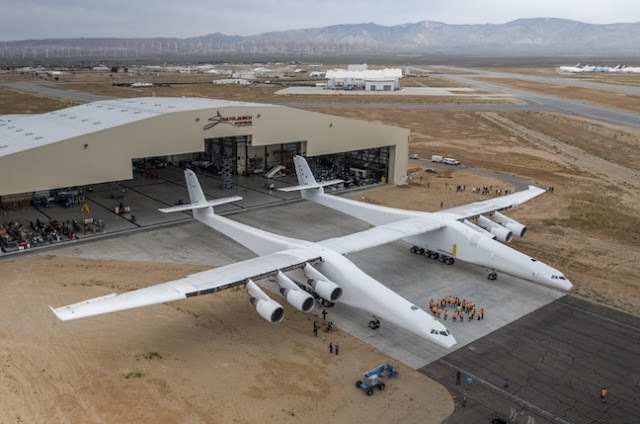 Billionaire Paul Allen and co-founder of Microsoft has unveiled the world's biggest plane, an aircraft that he built with the a purpose of hoisting satellites into the earths low orbit. The Stratolaunch carrier is said to posses a wing span that is longer than that of an entire football field. It posses a wingspan of 385 feet (117 m) and a length of 238 feet (72 m) and a tail height of 50 feet (15 m). According to Allen's company which has been on the aircraft since 2011, the Stratolaunch which uses six Boeing 747 engines is designed to launch rockets into the orbit from an altitude around 30,000 feet. The plane has a maximum payload capability of roughly 550,000 lbs. 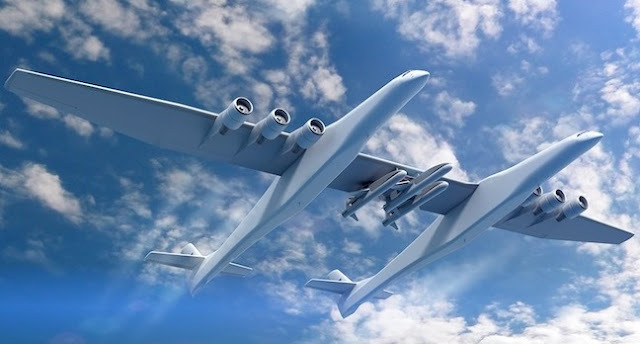 "Stratolaunch is designed with a flight radius of up to 1000 nautical miles and can launch from different runways, it will offer scientists, businesses and space entrepreneurs much greater flexibility, such as the potential to evade local weather problems that often impose untimely delays on traditional vertical rocket launches," the company said. "This is the first of its kind aircraft, so we are going to be diligent throughout the testing and continue to prioritize the safety of our pilots, crew and staff," Jean Floyd said, Adding that the giant aircraft would perform its first launch in early 2019. 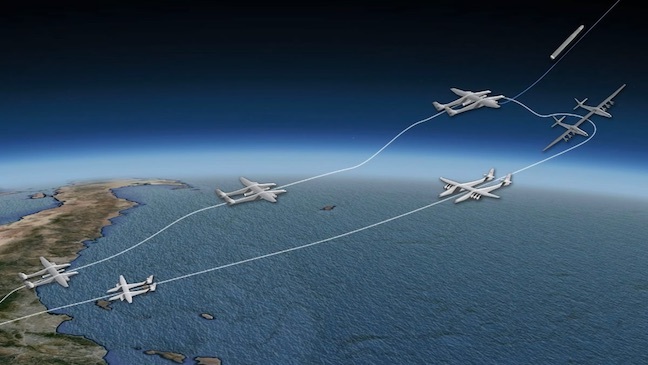 Stratolaunch will likely face stiff competition from DARPA who plans on also launching a sat-plane capable of launching ten satellites in 10 days while Rocketeers also claims that they can also launch 100 small satellites in a year.